In all of the trials and challenges of life, there are few as difficult to endure as losing a loved one. We work hard to build relationships and enjoy healthy families, and when someone we love leaves us, it can create a hole in our hearts that’s difficult to fill. 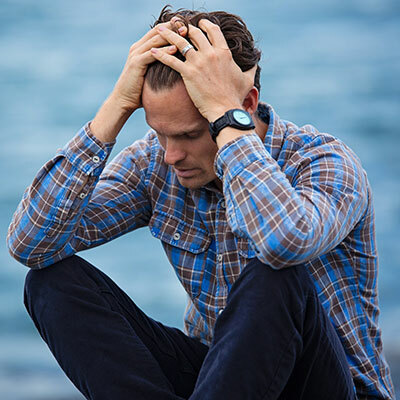 Reaching out for grief counseling during those times is a natural, healthy reaction for those suffering the loss, and can be the first step toward recovery. It’s almost a forbidden topic for many people, but dealing with death is as important, sometimes even more so, than dealing with life. We all know that death is our destiny, and every headstone has two dates etched into it, but in spite of that certainty, we have a tendency to ignore the impending reality and keep our focus, instead, on life. But the truth eventually comes around, and we all face the moment when someone we care for deeply has passed on. Every person confronts their losses and grieves in their own way, but there are overall patterns and steps that most people must work through to deal with the hurt and, ultimately, to find closure. A grief counselor can provide sensitive, caring support and guidance through these processes. By helping you come to terms with your loss, you are able to more effectively make necessary adjustments and move forward with your own life. Some of the difficult situations that we encounter in life will be with us for the rest of our days. I can help you determine ways to deal with your loss and to live with the changes that have taken place in your life. We can’t change the difficult situations of your past, but we can work together to understand and resolve the challenges you face in the future. Although grief can be a serious hurdle to overcome, we can systematically process the feelings and challenges it presents, and bring hope and success back into your life. Grief counseling can be the key to unlocking your potential for a full, joyful life after suffering your personal loss. If you are struggling with the effects of a loss or are having trouble dealing with grief, reach out to me today and begin your journey to recovery. I’m here to help. Grief Counseling serving Agoura Hills, Calabasas, Malibu, Oak Park, Westlake Village, Thousand Oaks, Newbury Park, Camarillo, Moorpark, Simi Valley, Oxnard and Ventura areas.